Due to misaligned incentives, many healthcare recipients are receiving substandard care. The rising costs of running a hospital or care facility forces doctors to spend less time with individual patients, leading to misdiagnosis. Costly tests and procedures tempt doctors to order unnecessary interventions for the sake of generating revenue. Without many methods of comparing doctor outcomes, healthcare providers can charge whatever they want without worrying about quality. Implementing an incentivized peer review system into a healthcare platform, and publishing the outcomes, will help make the process of choosing a provider transparent and trustworthy. A model incentivized by earned tokens–a type of cryptocurrency–can lead to better outcomes overall. Peers will receive compensation to review a peer’s diagnosis or recommended treatments. They either agree with the outcome (positive), or disagree (negative) without judging the health outcome of the patient. For instance, a patient correctly diagnosed with diabetes will earn a positive rating due to the correct diagnosis, rather than a negative rating due to the illness. Doctors wishing to participate in the peer review system can opt in for free. They also have the choice of staking tokens for one month to increase the chance of reviewing a case. 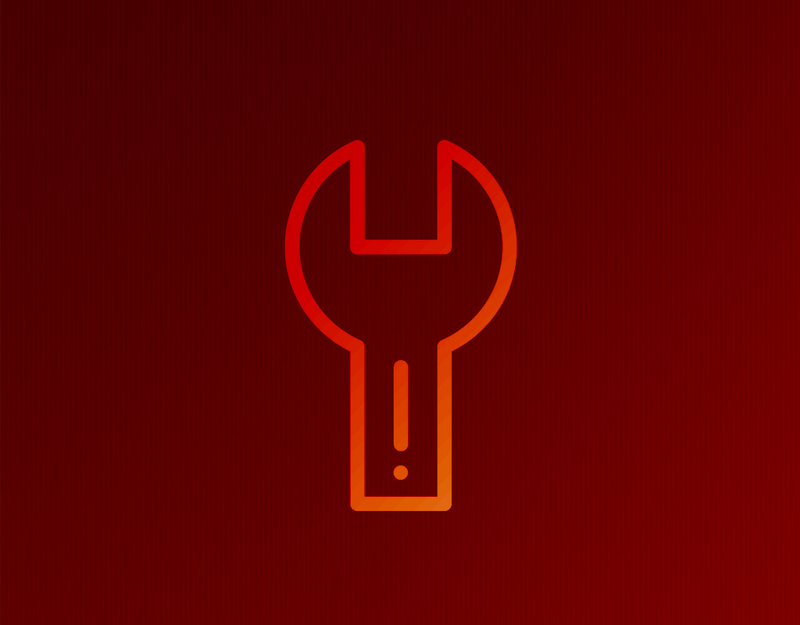 At the end of the period their tokens will be available for withdrawal, or they could re-up their membership in the review pool, possibly staking more or less tokens than last time. When doctors check in to the review system they will see a list of cases they can sign up to review. They check the cases they want, or possibly hit one button to try for all the cases. After enough doctors have bid to review the case, Health Sapiens runs a lottery that awards the review to a specific doctor. Their chance of winning is directly tied to the size of their stake. Doctors who are selected to complete the review get a notification, after which they have a small period of time in which to accept the case. Doctors who accept their notification will have a set period of time to complete the review. If they fail to complete it on time they will forfeit a portion of their stake. This table shows the chances of winning the review opportunity based on each staking amount. Doctors will see this when they choose to take part in a review. Each case needing review will need a fresh start with all the doctors, irrespective of whether or not they have already won a chance to review. Over time, our ranking system will develop the reputation of high-quality physicians. 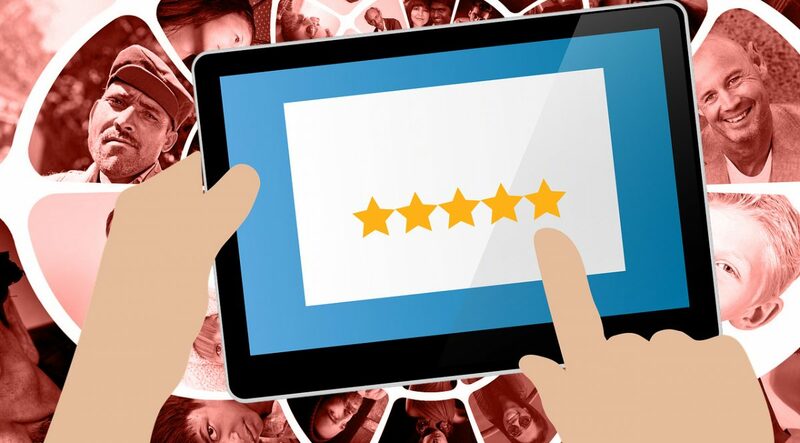 Our physicians will receive their own ratings on the platform based on a global ranking system that is focused on objective and verifiable outcomes rather than subjective impressions. This will set a new precedent in the Healthcare industry, similar to the FICO gold standard for good credit, so that good actors will be financially incentivized and adequately rewarded for good behavior. Patients will be able to select physicians that have specific ratings. Physicians will be incentivized to earn the stamp of approval, as it will include them in the highest-paid pool of physicians. Tokens purchased maintain their utility indefinitely as opposed to an insurance policy that expires. Tokens purchased give direct access to care within a global verifiable system that provides price transparency across medical procedures. Physicians from the network have been peer reviewed and ranked based on their medical care outcome and performance. Tokens purchased allow interoperability of electronic medical data and traceability of outcomes, giving patients the chance to access and transfer electronic medical record to any desired provider within our network. Physicians can freely offer their services to a much broader audience worldwide. Physicians can earn additional income by reviewing their peers’ consultations and offering a second opinion. Intermediation is marginalized, and decentralization allows physicians to be in direct contact with patients from around the world. Ability to participate in seminars and continued education courses to keep abreast and informed on medical related topics. 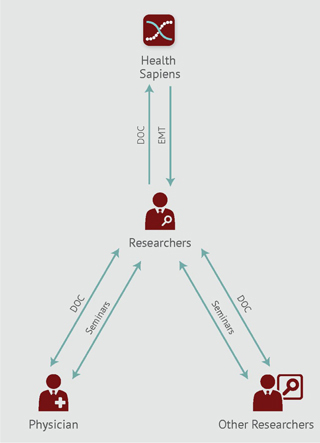 Ability to share their ground-breaking discoveries with the international community, bypassing central authorities and institutions that monopolize the vetting, issuance and distribution of scientific papers. Ability to earn additional income through seminars and courses related to their research. 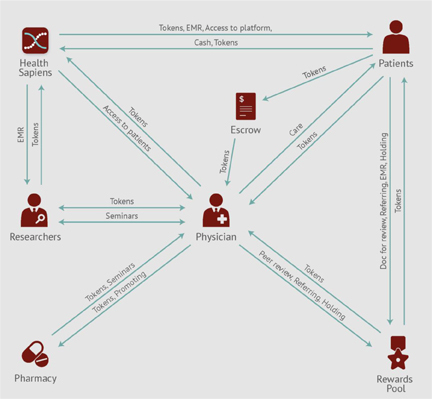 The peer review system therefore uses a holistic mechanism to create incentives for all parties to play fair– rewarding patients, physicians and researchers for their contribution to the ecosystem. The better the outcome, the more success for the participating physician. Patients can then make better and more-informed choices for care. According to Protenus, a company that tracks health data breaches, over 3.14M patient records were breached between April and June 2018. Nearly 78% of healthcare workers are not fully aware of the importance of safeguarding patient healthcare records, and healthcare providers are woefully understaffed in security and training protocols. Hacking incidents nearly doubled in Q2 2018. In this article we will be discussing Healthcare-Blockchain technology and how HealthSapiens is leading the charge. Data privacy laws, such as those in the United States, are designed to standardize privacy, but they also make it difficult to implement electronic solutions. 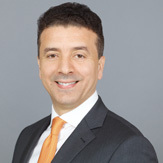 According to the AMA of Journal Ethics, “There are three major ethical priorities for electronic health records: privacy and confidentiality, security, and data integrity and availability.” Medical records are the property of the healthcare provider, and as such it is their responsibility to provide security. Due to the value of the data combined with cutting-edge world of hacking, this means providers essentially need to become experts in cybersecurity if they want to host electronic records. This is a lot to ask of organizations who are primarily based on healthcare. “While nothing is 100% secure, blockchain is designed to be immutable, tamper-proof and democratic,” says Andrew Gazdeki writing for Forbes. Data stored on a blockchain is distributed across participating servers with no central location, making it an elusive target for hackers. 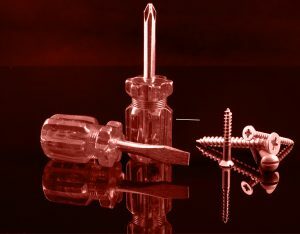 The information can be shared via key created by a hash, which is impossible to reverse-engineer. Since the data is owned by individual patients, only they decide who has access to the records. According to IBM, 16% of healthcare executives are planning to incorporate blockchain technology within the next year. The beauty is that not all providers must convert to the same platform for it to work. This Legacy system will function as an automated intermediary between the current HIPAA-compliant software database and the blockchain and distributed storage network. Following encryption of electronic private health information, users will hash the information and create defined chains of entries to the blockchain as a functional way of verifying data integrity and eliminating the chance for foul-play or unauthorized data manipulation. This model affords consumers trust, accountability, integrity, access control and traceability. 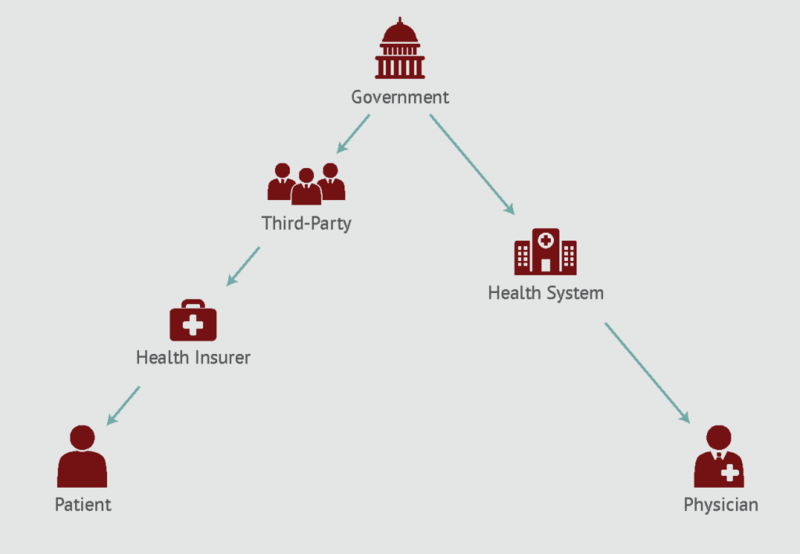 This model minimizes the interference of third party actors and intermediaries, while simplifying over complicated healthcare delivery. This solution is patient-centered, transparent, and cost effective. “For patients, it’s the immutability and interoperability across institutional and geographic boundaries that’s perhaps the most attractive attribute of blockchain technology,” says Bruce Silcoff, CEO of Shyft Network. Patient data can be easily accessed from anywhere in the world, all while feeling their data is secure. It is time for healthcare providers to embrace technology that will not only secure sensitive data, but create better access and sharing overall. With blockchain technology we can decrease breaches and increase accessibility for healthcare patients worldwide. Previously we’ve outlined the four major problems facing healthcare consumers today: lack of access, high costs, intermediary barriers and low-quality care. By combining a blockchain with a telehealth model, we propose a global patient-centric system designed to enable transparent, secure, effective, and affordable interaction between patients and providers. An architecturally and institutionally decentralized healthcare system, underpinned by cryptocurrency, will help pave the way toward a decentralized marketplace, connecting transacting parties worldwide with minimal intermediation. Our proposed solution involves a network designed to provide patients with the ability to access global healthcare providers based on fully transparent and measurable metrics such as cost, location, quality of care, provider experience, and outcomes after procedures. Diagnostics, check-ups, and consultations can take place virtually, with referrals to in-person care providers as needed. The blockchain will facilitate a common currency to aid the process of cross-border payments, encouraging physicians to provide services globally. Physicians will be able to live and practice wherever they choose, while providing care to those in the most rural areas of their country (and potentially even the world). Storing Electronic Medical Records (EMRs) on the blockchain will make accessing them anywhere easy and secure, anywhere in the world. By adding a price transparency feature to our platform, patients can see and compare prices before using. This will potentially lower costs as patients gravitate toward more reasonable costs for comparable services. This will allow this platform to switch from a membership model to a value-based model, while still mitigating the skyrocketing costs for treatment. A blockchain facilitates transparency because its records are immutable and trustworthy. A blockchain is necessary to implement a common currency, which will lower costs by reducing transaction and money changing fees using a common settlement layer. Imagine a healthcare system where everyone in United States and around the globe is a knowledgeable, savvy consumer of medical services, and plays an active role in purchasing and consuming the services they receive. With a goal toward enabling patients to become wholly involved in their healthcare decisions, we aim to develop more conscientious healthcare users. To achieve this, plans and professionals need to provide the information, financial incentives, and decision-making tools to allow consumers to make educated healthcare purchasing decisions. Using a blockchain model, patients will have access to and control of their medical records at all times. Interoperable EMRs coupled with AI and IOT can create process efficiencies and improve decision-making necessary to boost quality. Data could be better integrated into daily care, and patients could play a role in curating their own data. The data could include genetic, social, and behavioral patient information, as well as financial, clinical, and administrative records. It could be securely stored in the cloud and accessed on an as-needed basis on a blockchain. 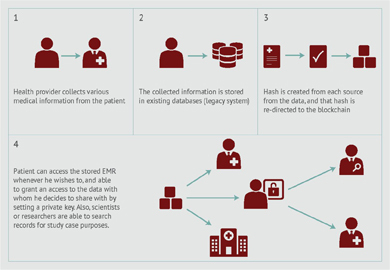 Blockchain technology enables a decentralized health information exchange through a mapping and permission system for patients’ medical records. Most importantly, episodes of care are memorialized on the blockchain and recorded as a pointer to the actual EMRs kept by the provider. Provider access to a patient’s file pathway is granted only after patient authorization is submitted via a key signature. By creating a decentralized EMRs which is cryptographically safe, secure, and permissioned, a blockchain solution will lay the foundation for a new and powerful global healthcare network. As the architecture develops, the services on the platform will have the ability to grow into a medical service platform with EMRs intuitively interconnected. A platform using blockchain technology can augment the quality of care by enabling interoperability of electronic medical records from legacy systems worldwide. The purpose is to empower patients to control their own data and partner with healthcare providers in a way that facilitates higher engagement, higher quality, lower cost, and ultimately the best outcomes in terms of healthcare service. Patient outcomes, defined as outcomes that are both accurate and lead to the best solution, will be peer-reviewed and the data and stats will be irrevocably recorded on the blockchain. The patient names and details will be anonymous and each physician will have a rating based on their peer-review statistics. This transparency of outcomes will lead to higher quality care as bad actors are weeded out and patients can choose the best doctors to work with. Additionally, use of the blockchain and a new model of consolidating EMRs will mean patients can more easily access and send their medical records, creating better signals for diagnosis. The addition of wearable devices that send additional health stats will easily integrate for better-informed healthcare. Finally, a platform including a blockchain can be used to encourage participants to actively engage in their own wellness through a rewards mechanism, where patients earn rewards for reaching goals or partaking in activities that contribute to their overall health. Other participants in the healthcare ecosystem will benefit from the a blockchain-centered system. Medical researchers can request permission to access patient EMR, aiding their research. Patients who wish to share their EMR will receive compensation in tokens. Signatures on smart contracts will enable the transactions and record the permissions required. The platform can include a feature where researchers and doctors can present workshops, classes and webinars in exchange for tokens, raising the bar for overall healthcare betterment through collaboration. Mandatory continuing education courses will also be available. Pharmaceutical companies can request access to research data and also participate by promoting their medications or services. An irrevocable record on the blockchain will force pharmaceutical companies to be transparent and honest in their solicitation, and allow participants to research cost-efficient alternatives of medications. The use of a blockchain to power a healthcare platform’s payment processing means revealing all transactions, making financial incentives known. Ideally, the platform will create a new kind of transparency facilitated by a truly open and contributor-controlled environment for healthcare. Since the blockchain contains data in time-stamped blocks that chain together which are continuously added and archived, it becomes nearly impossible for outsiders to manipulate existing data or information within the distributed ledger. This means physician peer reviews and EMR records are immutable, and all financial transactions are recorded and verified. The blockchain is a decentralized authority, which enables healthcare companies to build a self-governed transparent ecosystem. There is no single source that controls or centralizes the published outcome. While the interface enables P2P interaction, the blocks on the chain containing information on transactions EMR, and reputation are not owned or controlled by any entity. Previously we’ve written about three major problems facing healthcare consumers: lack of access, high costs, and intermediary barriers. Today we’ll highlight another problem causing the global healthcare crisis: low quality care. Simply put, if people take better care of themselves, many medical conditions could be prevented. The foundation of our current global healthcare system is the treatment of illness and disease rather than the promotion of good health. If we create the conditions to make it possible for people to take better care of themselves, many medical conditions such as type II diabetes, certain cancers, heart disease, and obesity could be prevented, along with associated costs. Many current healthcare systems are sick-care models, meaning that they generally wait for people to get sick and then treat them, at the expense of more preventative methods of providing healthcare. In order to remain in business, doctors are spending less and less time with individual patients so they can see more patients throughout the day. By shortening appointment times, important information and symptoms may be missed or dismissed, leading to misdiagnosis or undiagnosed problems. 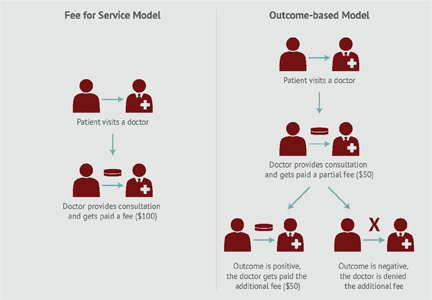 Bad actors are not incentivized to give a correct diagnosis in current healthcare fee-for-service systems. Extensive testing or unnecessary procedures are rewarded with higher profits. Even with alternative opinions, misaligned incentives can lead to bad outcomes without a patient even realizing it. For instance, an OB may perform more C-Sections than are medically necessary due for convenience and even profit’s sake. When patients do not have easy access to their medical records, their quality of care is impacted. Doctors in urgent care or emergency settings won’t have insight into a patient’s medical history, which can lead to incomplete diagnosis (or mis-diagnosis), duplication of procedures, costly interventions, and more. A patient’s primary care doctor may be able to give insight into an emergency condition, but the parties may never actively communicate. Pursuing the philosophy of holistic care, patient-centric care makes illness prevention the paramount value. This involves coordinating and integrating care between providers, providing post-diagnostic support and follow up, enabling access, and including patients in decision-making. Focusing on disease prevention rather than disease management means better overall health outcomes. It is still difficult to vet the quality and experience of participating physicians, and patients with emergent issues rarely research their options. A more informed and preventative patient experience will help prevent diseases, align incentives, and lead to better outcomes. Overall, the global healthcare landscape is uneven and ineffective, lacking efficiency, transparency, and a genuine concern about their nations’ well-being. Last week we talked about the first problem facing healthcare consumers: lack of access. Today we’ll highlight another problem causing the global healthcare crisis: high costs. High-quality affordable healthcare is important to help eliminate healthcare disparities and works to improve the overall health of the population, whereas more expensive healthcare increase the disparity between health of the affluent and the less well-off. The cost of healthcare varies dramatically around the world. Many health systems are struggling to update aging infrastructure and legacy technologies with already limited capital resources. As healthcare costs increase, affordability and insurance coverage remain problematic. In the United States, deductible cost increases are far outpacing increases in costs covered by insurance. Brazil’s private health insurance sector lost 2.5 million beneficiaries between 2014 and 2016 due to the country’s high unemployment rate. Added to that, companies in Brazil had to cut expenses, and changing their employees’ health insurance plan to a cheaper one was a popular option. As mentioned previously, lack of access to care causes an increase in hospital and urgent care visits. According to Centers for Disease Control and Prevention (CDC), 79.7% of non-admitted emergency room patient visits were due to lack of access to a healthcare provider. A recent study published in the Journal of American Medical Association estimated $734 billion (27%) of all healthcare spending was wasted on unnecessary services, inefficiency and inflated prices. Similarly, according to Truven Health Analytics, 71% of emergency room visits with employer-sponsored insurance coverage are ambulatory sensitive, and could have been managed in an outpatient care center. Moreover, as shown by the rise in medical tourism as a new industry, there is now a greater cost disparity in accessing healthcare than before. This new industry shows the cost of healthcare is such that patients are increasingly willing to travel overseas in order to take advantage of more competitive pricing for healthcare in other countries. This makes it easier to connect patients in one geographic location to physicians in another, which can dramatically reduce costs, and create a freer and competitive market for high-quality medical services. Today’s consumers want to take responsibility for managing their own health. Yet, most feel they don’t have the information and tools to do so. 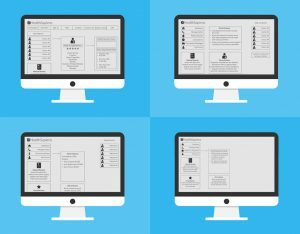 In other industries, customers can easily access comparisons of features, benefits, and costs to guide their purchasing decisions. In contrast, the healthcare industry presents a huge array of confusing choices, contact points, and service flows without any upfront pricing information. Seventy-five percent of consumers consider their healthcare decisions as the most important and expensive decisions they make. Yet, the process of choosing and paying for medical services can be so daunting that patients often decline treatment simply to avoid the confusion and expense. To make better decisions, healthcare consumers are increasingly expecting—and demanding—better information and more transparency from healthcare providers. They’re also asking for more of a partner relationship rather than a one-way dialog from medical provider to patient. At the same time, as healthcare costs continue to rise, consumers are required to assume responsibility for a larger share of the costs of health plan premiums, co-pays, and out-of-pocket expenses, with no way to offset the cost. Healthcare by membership is becoming more popular in the United States, and companies such as HealthSapiens can cover you for as little as $14.95 per month for unlimited consultations with physicians. HealthSapiens has done the market research and modeling to ensure that this is a fair and equitable price for both patients and physicians, and pays its physicians directly. This eliminates the greed that fuels much of the dysfunction in the current U.S. system. It also eliminates third-party processing that gets in the way of fast and accessible healthcare. Finally, physicians can charge less because overhead costs are lower using a platform like HealthSapiens. Prices are still largely determined by third parties whose goals are primarily financial and profit-driven. Patients often don’t know the price of a service or treatment until they need it— and very few are savvy enough to shop around, thinking a cost is fixed and non-negotiable. Even for savvy consumers, price comparison is difficult as current systems protect obscurity in order to control pricing. We propose a completely transparent system powered by a blockchain. Like with other products or services, consumers will have the ability to compare pricing and make better choices. Cheap travel has made it possible for patients to travel where needed if it will ultimately save them money, meaning costs will lower on a global basis. HealthSapiens is currently working to make this a reality. To find out more about the future of HealthSapiens 2.0, visit our website and sign up for our newsletter today. Previously, we’ve written about the global healthcare crisis, the current existing healthcare models and the problems with healthcare. One of the primary problems existing with each model is the many barriers to access and delivery of care and treatment. Access to healthcare is centralized to a limited number of intermediary players in a way that is costly, non-transparent, and inefficient. It forces all of us to settle on whatever is given based on our locale and socioeconomic status, without having any real voice. Access to care impacts patient’s physical, social, and mental well-being, as well as their overall quality of life. According to the Office of Disease Prevention and Health Promotion, people with a reliable source of care should have better health outcomes, fewer disparities, and lower costs. Yet according to the National Association of Community Health Centers, approximately 62 million individuals in the United States have limited or no access to primary care physicians as a result of shortages. This number is widely expected to increase over the next several years as our population grows older. With an absence of convenient access to primary care physicians, patients turn to alternatives like emergency rooms, urgent care clinics, or choose to not seek care at all. All three options are more costly to the healthcare system than providing access to appropriate physicians. In America, there is one medical doctor for every 434 people. It is important to note that physicians are not dispersed evenly throughout the country. Cuba, a country that has heavily emphasized medicine, has about 6 doctors for every 1,000 citizens . Conversely, in much of developing Africa,there is less than one healthcare practitioner (not necessarily a doctor) for every 1,000 people. India has fewer than 1 doctor for each 1,000 citizens. Even in communities where healthcare exists, there are financial barriers to accessing care. Countries requiring but not providing health insurance or out-of-pocket payment put citizens at risk of delaying or forgoing treatment, hoping their ailments will go away. This increases costs overall as these same citizens are often treated in emergency rooms, and outcomes diminish because preventative treatment is all but forgotten. 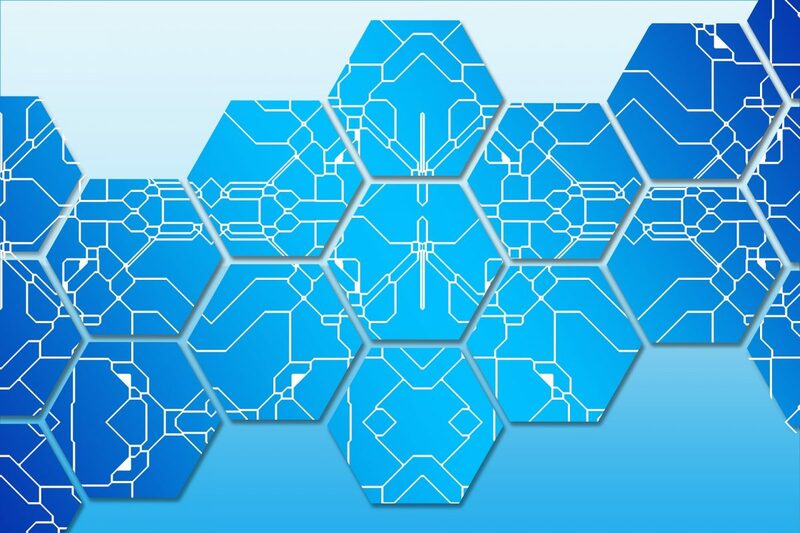 Blockchain technology has enabled the first architecturally- and institutionally-decentralized healthcare system underpinned by cryptocurrency. An advanced P2P network can help pave the way towards a decentralized marketplace, connecting transacting parties worldwide with minimal intermediation. In order to solve this problem, we must create a system that is both affordable and globally accessible. Online portals can provide an opportunity for patients to access physicians beyond the sphere of their physical location. Since overhead costs are minimal for physicians to participate, prices per visit can decrease. Global market competitiveness will also drives prices down. Gains can still be made, as hundreds of thousands of patients are still without proper access. A common currency can aid the process of cross-border payments, encouraging physicians to provide services more globally. Adding in-person physician visits to the existing system will increase accessibility for patients who lack traditional health insurance, or for those who are able to travel to seek care at more reasonable prices. Technology like blockchain will make care seamless no matter what care provider you visit. Adding online pharmacies to the platform can help get medicine to those who need it. Overall transparency will lower costs and promote better outcomes. At HealthSapiens, we’re making this vision a reality with our existing medical platform and eradicating the common problems with healthcare. Do you dream of a better future with access to medical care for all? Follow us on social media @healthsapiens to join our journey! to healthcare is one of the primary problems affecting humankind. Communities without enough physicians or healthcare facilities are usually poor, and those lacking the means to travel are negatively impacted the most. HealthSapiens is solving this problem through our existing 1.0 platform, where we provide 24/7 physician access to patients with a phone or internet connection for a small monthly fee. The addition of a blockchain and DOC tokens with HealthSapiens 2.0 will ease the pain of switching currency and will increase access to doctors, pharmaceuticals, and electronic medical records (EMR). 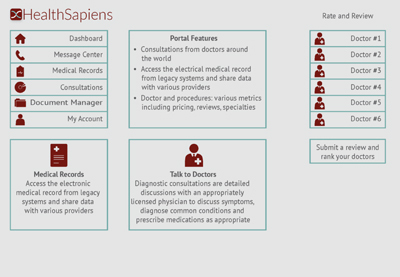 The HealthSapiens portals are a gateway to an effective, transparent, efficient and reliable global healthcare system. Our blockchain technology built on the existing portal will facilitate patient and physician interaction across payment settlement, data exchange and peer review and solve the problem of lack of access to healthcare. With its 3 in 1 consumer-centric blockchain model, HealthSapiens 2.0 will play a major role in decentralizing healthcare by providing a self-regulated ecosystem where stakeholders operate away from the rigid and costly structures of fee-for-service, to a mutually incentivizing outcome-based solution. We are moving away from the interest of the institution to the interest of the individual, progressing healthcare for humankind. The key to a stable economy, and to decentralize healthcare, is reaching a nexus of users who have incentive to both earn and spend. The same is true of a blockchain-based economy. 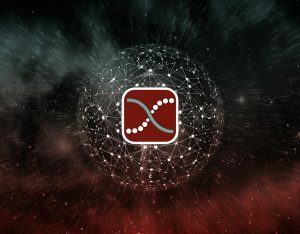 With HealthSapiens 2.0, we’re building a network that facilitates robust token economics by utilizing a combination of automatically-executing smart contracts and ERC20 tokens (the HealthSapiens “DOC Token”.) Our blockchain-based healthcare ecosystem is predicated upon incentivizing and rewarding desirable behaviors across our user base. We believe if people are incentivized and rewarded for doing the right thing, they’ll be more-likely to do the right thing. Here are 3 Rewards systems we’re utilizing inside HealthSapiens 2.0 to incentivize and reward desirable behaviors within our ecosystem. The Holder Reward system incentivizes network users to hold onto tokens rather than exchange tokens for fiat currency. HealthSapiens also wants to encourage users to manage their health interactively and discourage users from purchasing tokens only when one is in dire need of healthcare. Token holders will be given the opportunity to lock up tokens in a contract, specifying that those tokens can only be used for healthcare. Think of it as a sort of “health spending account.” HealthSapiens will offer a percentage match on the locked tokens, which requires that users not withdraw the tokens and again: only use those tokens on healthcare. HealthSapiens will be able to share the total amount of tokens locked up in these accounts, helping encourage physicians to participate. 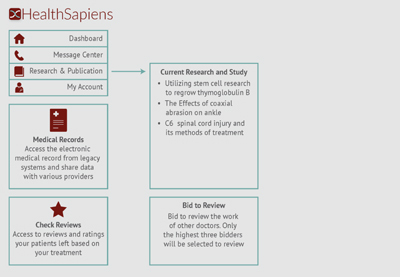 A Referral Reward incentivizes users to refer or recommend the HealthSapiens platform to potential new users. This is similar to how Uber and Lyft provide promotions or rewards for users who refer contacts in their area of influence. Referrals get rewarded when their special Referral Code is used to register a new user to the platform. Our Achievement Reward System is a part of the Usage Reward System, which incentivizes users to actively use their tokens and become engaged in their health. HealthSapiens will set up various tasks such as annual healthcare checkups. This system may include additional health-related goals, including daily, weekly, and total personal goals, tasks, doctor visits, reviews and ratings. Upon completing these achievements, users will be rewarded with tokens. Similarly, upon completing these achievements, users will be rewarded with tokens. When building an effective token economy, incentives to hold, buy, spend, or earn tokens will ensure a necessary balance. Implementing rewards can help generate crucial stability or continual actions a token-based economy needs for success. HealthSapiens is creating a sustainable healthcare ecosystem to support our vision of transparency, access, and affordability for healthcare consumers worldwide. Please follow along with us on our blog and social media as we make our decentralized healthcare ecosystem a reality. With your help, HealthSapiens will move one step closer towards solving the global healthcare crisis. HealthSapiens’ vision is democratization of healthcare (i.e. Decentralized Healthcare), driven by the HealthSapiens DOC Token on our blockchain platform. 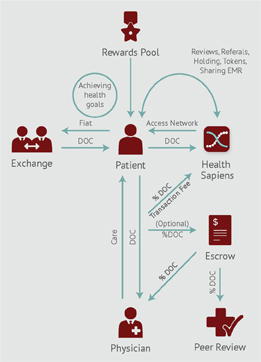 DOC tokens are used primarily as payment method within the HealthSapiens network. They are also used to reward users for various activities that help enhance the ecosystem. 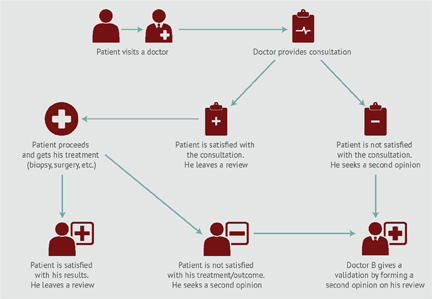 The primary token flow happens between physicians and patients. Patients purchase DOC through an exchange when they need care. They pay DOC to the HealthSapiens platform in order to gain access to their network of qualified physicians. 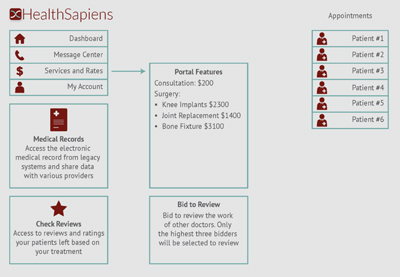 Optionally, patients can pay DOC for HealthSapiens to consolidate EMRs on their behalf. If the patient chooses to submit their outcome for a physician peer review, the outcome goes to the review pool of peers. If peers agree that the service was sufficient, the physician earns the remaining payment, minus a fee to the peers. Outcomes are saved to the blockchain. Fred is a relief worker in an area with limited access to medical care. He develops a cough and after a few days it hasn’t improved. He decides to use his smartphone to access HealthSapiens. Because he knew he would be in a remote location, Fred thought ahead and purchased tokens to keep in his DOC wallet in the HealthSapiens system. From his phone, Fred accesses the network and chooses a doctor who can see him right away. Fred consults with the doctor who recommends a treatment plan. Though the doctor is in a country with a different currency, Fred is able to pay her immediately using DOC. HealthSapiens retains a small fee of 5% from the transaction. Fred then leaves a review for the physician he saw and earns a small amount of DOC as a reward for his review. Part of Fred’s treatment plan includes a series of daily tasks related to his health. While in the HealthSapiens app, Fred sets up some goals to earn achievement awards. If he completes each task related to his goal he earns additional DOC as a reward. 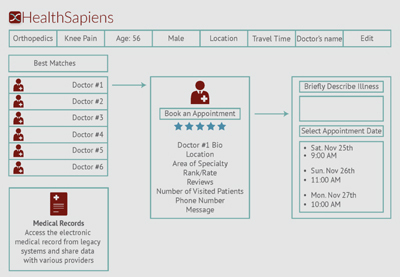 Physicians are given access to up to 30 patients per month for no fee through HealthSapiens. 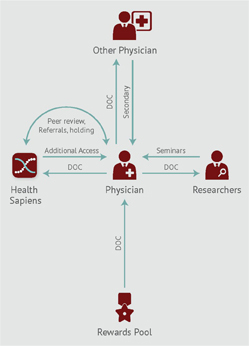 Physicians can access additional patients by paying DOC to HealthSapiens. Physicians can spend DOC to promote their practice with advertisements within the HealthSapiens app. Doctors will be able to white label if they want to better promote themselves within our platform. They can pay to participate in seminars and continuing education offered through HealthSapiens by other doctors or researchers in the platform. They can also take their DOC to an exchange and cash out for fiat. Dr. Quinn joins the HealthSapiens platform in order to reach a wider range of patients. To start, she is given free access to 30 patients a month, roughly one per day. Because she is new to the system and has not built a reputation, she decides to enable the escrow feature. This minimizes the risk for new patients. Fred contacts her with a bad cough and chooses her for her immediate availability. Dr. Quinn and Fred meet (either virtually or in person), and she gives him a treatment plan for her cough. Because she has chosen to escrow, she receives part of her tokens upon completion of their appointment, and half goes into an escrow pool. A hash is created and a validator smart contract is formed. Five care providers from the validator pool then bid to be chosen for the review. Three are chosen and the outcome gets either validated or not validated. If the outcome is validated, the DOC locked in escrow are released to the treating physician, with a portion going to the validators. If the outcome is not validated, the DOC minus the validator portion is returned to Fred. The invalid outcome is recorded on the public blockchain. Dr. Quinn’s outcome is validated, and she receives her remaining DOC. She then spends part of the DOC on advertising within the HealthSapiens system to get more patients. earchers pay DOC to HealthSapiens in exchange for access to patient EMR to use in their research. They can earn DOC by offering seminars to physicians or other researchers through the platform. Dr. Anand Singh is a Ph.D. in Biological and Life Science. He focuses on the study of living organisms, including biology, ecology, and neuroscience. He works in a small lab affiliated with a local university. Unlike his peers in the western world who are connected to well-funded institutions, Dr. Singh is long on groundbreaking ideas and short on funding. Dr. Singh is a passionate researcher and evidence-based scientist who lacks access to the patient data required to validate his new theory on neurodegenerative diseases. Dr. Singh can purchase EMR of patients who have given proper permission, and the patients will be paid for sharing their data. Through the HealthSapiens platform, Dr. Singh shares his scientific discoveries via a live seminar, bypassing traditional distribution channels and opening his research to be reviewed by the international scientific community. Bringing medicine back into the balance, HealthSapiens invites pharmaceutical companies to utilize our ecosystem. Pharmaceutical companies will have access to patients’ healthcare records and EMR after patients have given their consent to HealthSapiens to share their data. Pharmaceutical companies will benefit from the EMR data for market analysis as well as research and development purposes. Pharmaceutical companies will also have access to insights on patients, prescription data, and health and lifestyle choices, as well as other social data, which is something pharma companies currently do not have access to. These companies will be able to educate individuals about their cost-effective alternative products on the HealthSapiens marketing platform. Patients will have a clear understanding of the importance of adhering to treatment regimens. They will become better aware of the terminology used to describe their condition, which will increase their trust of pharmaceutical companies. To further improve user trust, the Healthsapiens ecosystem will use the blockchain to help improve drug safety protocols by providing the basis for tracing drugs from manufacturer to end consumer. 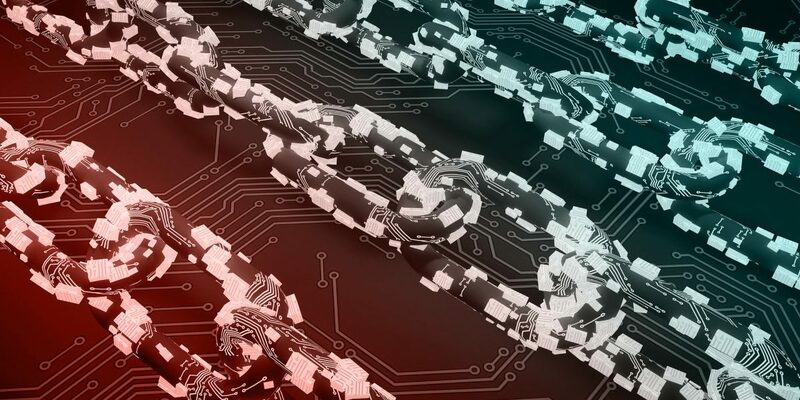 Since blockchain technology is a shared, immutable record of peer-to-peer transaction stored in a digital ledger, users will be able to identify where the supply chain breaks down. The blockchain will help track active pharmaceutical ingredients during the manufacturing process and detect erroneous drugs. It will be helpful in identifying prescription drug abuse and aid in solving public health issues that are currently, systematically unsolved. Pharmaceutical companies must hold a certain number of DOC tokens to participate in the platform. Pharmacies that sell medicine will be able to accept tokens in exchange for medication. Only drugs with FDA approval will be allowed to promote and sell on the HealthSapiens platform, provided they are transparent about side effects and that they publish results of their clinical trials. Products are also only allowed to be sold in their own country of origin. Relationships between doctors and pharmaceutical companies will be transparent. Pharmaceuticals are only allowed access to our member pool if they disclose their relationship with our providers. With this robust ecosystem of payments, rewards, and other transactions, HealthSapiens is creating a sustainable economy to support our vision of transparency, access, and affordability for healthcare consumers worldwide. Please follow along with us on our blog and social media as we make our decentralized healthcare ecosystem a reality. With your help, HealthSapiens will move one step closer towards solving the global healthcare crisis.